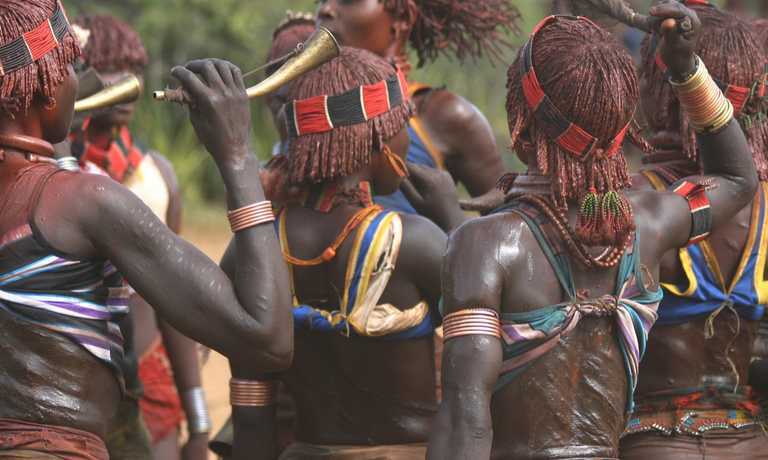 Diverse wildlife, beautiful lakes, and dramatic scenery, this is Ethiopia at its finest. 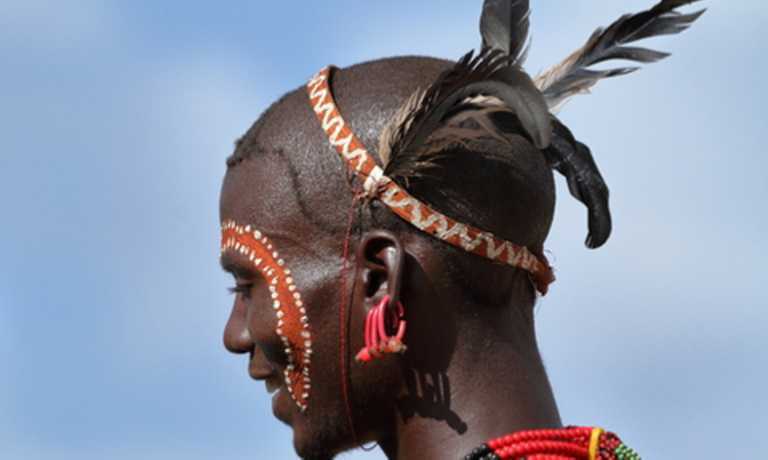 This holiday combines the best of Ethiopia's natural wonders into a twelve day nature tour. Visit the stunning Simien Mountains National Park. Explore Lake Langano and the Abijatta-Shalla National Park. Hike in the incredible Bale Mountains National Park. Day 1 - Let the adventure begin! Fly to Addis Ababa where you will be welcomed at the airport by your friendly and experienced tour leader. You’ll be provided with transfers to your hotel, where you can freshen up before taking your first steps in the city. Your guide will show you the beautiful Italian architecture in the Piazza, and help you navigate busy markets in the adjacent streets. This city of excitement and contrasts is a fitting introduction to your Ethiopian adventure. In the evening, get to know your group over a delicious welcome dinner in a local restaurant. Your tour leader will dine with you and give you a briefing on your upcoming adventure. Catch a flight from Addis to Gondar. Drive for around 2.5 hours from Gondar to the Simien Mountains. Spend the afternoon in the mountains and the evening in the incredible Limalimo Lodge. Today is a fully day exploring the Simien Mountains. Our local guides know the best trekking routes and viewpoints, so you're guaranteed to get the most out of your time in 'Roof of Africa'. Spend the first half of the day in the Simien Mountains before making the 2.5 hour drive back to Gondar. Catch a flight from Gondar to Addis and spend the evening in capital. Drive for around 4 hours from Addis to the amazing Awash National Park. Spend the day exploring the park. Spend the first half of the day exploring Awash National Park, then drive for 4 hours to Langanoe. En route, visit Lake Ziway. 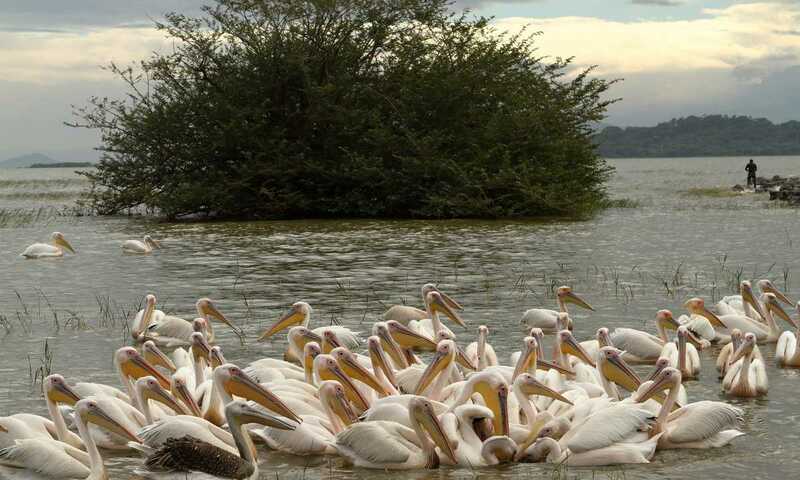 A boat trip on Lake Ziway means you can get a bit closer to Great White Pelicans, Marabous, Hammerkop, Sacred Ibis, Yellow Billed Storks, and flamingos. Of course, hippos are a famous resident of Lake Ziway, and you’ll be able to see them bathing and soaking up the sun from the safety of your boat. Of Lake Ziway’s five islands, Tulu Godo has a particularly rich history. After a 90 minute boat ride and a short walk through one of the three settlements on the island, you’ll arrive at the hilltop monestary Maryam Tsion. Reportedly set up by christian refugees, it is said to have housed the Ark of the Covenant during the reign of Queen Yodit. Your guide will explain in more detail the fascinating stories surrounding this historic place. Full day exploring Lake Langano and surrounding area including Abijatta-Shalla National Park. 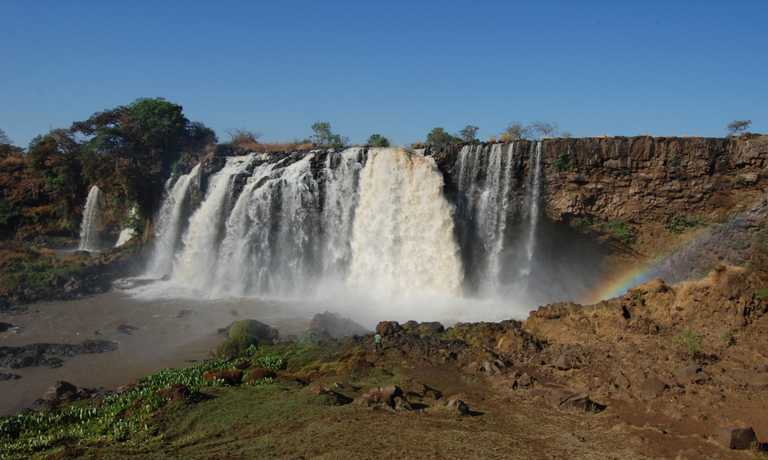 Today you’ll head to Abijatta-Shalla National Park, approximately a 40 minute drive and home to Lakes Abijatta and Shalla. These lakes host an impressive number of flamingos, and also famous hot springs. The steam rising from the pools casts an ethereal haze over the surrounding area. After this, a 4×4 will take you around the park in search for warthogs, antelopes and ostriches. In the afternoon, go for a dip in lake Langano. Set up camp at a lodge surrounding the lake and spend the evening relaxing. Enjoy a meal surrounded by the expansive views and the tranquil atmosphere of this remote region. Drive (4 hrs) Langano to Hawassa via Senkele Game Sanctuary. Visit the fish market in Hawassa. Drive 5.5 hours from Hawassa to Bale Mountains via Dinsho, the headquarters of the Bale Mountains National Park where you’ll meet your guide and they will talk you through the itinerary for your hike over the next few days. You’ll drive through park towards Harenna Forest. Harenna Forest is one of few remaining natural forests in Ethiopia and, based below a 1200m escarpment it plays home to so many extraordinary creatures. You’ll have plenty of time to trek through this mecca of Ethiopian biodiversity and take in its mesmerising and ever-changing views.Harenna Forest itself is astonishing. Moss clings to the gnarly tree trunks making for a spectacular, otherworldly sight. The unique structure of the forest means that it overflows with species of plants, amphibians, birds and mammals, some of which are endemic to the area, some only to this one forest. Amazingly, scientists continue to discover new species of animals here, over the last few years they have discovered 22 new moths and butterflies, and a viper.You’ll stay at the Bale Mountain Lodge, a stunning eco lodge established by Guy and Yvonne Levene which is staffed by enthusiastic experts who will be on hand to give you information about the surrounding area. Relax and enjoy the warm ambience of this remarkable lodge. Remember to look out for Bale Monkeys and Harenna Chameleons in the trees. Awake to the sounds of Harenna Forest and the smell of freshly brewed ‘wild’ coffee, which is harvested just south of the lodge. In the morning you’ll explore the forest some more, hopefully spotting some of the distinct animals and birds. Remember your binoculars, and a camera!In the afternoon, you’ll head to the lunar landscape of the Sanetti Plateau, where you’ll try and spot the Ethiopian Wolf, Africa’s rarest carnivore. Although only a few hundred Ethiopian wolves exist in the world today, over half the global population reside in the Bale Mountains. You might also spot the giant mole-rat, another endemic species and a firm favourite for the wolves. Looking up, you’ll see raptors, buzzards, ibis and in the distance a glimpse at tomorrow’s adventure, Mount Tullu Dimtu. Today you’ll hike to the top of Mount Tullu Dimtu, the the fourth highest peak in Ethiopia. The trek isn’t too steep, and you’ll weave through Giant Lobella trees as you go, but at the top you’ll reach the staggering height of 4,377m. The views of the surrounding park are stunning. As always, keep an eye out for the exceptional array of wildlife! Drive for around 5.5 hours from Bale Mountains to Hawassa. Catch a flight from Hawassa to Addis Ababa to catch your international flight home. This trip can run as a group trip, with prices starting from $3,324 per person for a complete group. If you are looking to join a group or you are a solo traveller we will help to form likeminded groups of travellers. Please let us know your travel plans. The current total fare for the domestic flight(s) in the itinerary is USD $215 per person when Ethiopian Airlines is used for international flight. Otherwise the fare for the domestic flight(s) in the itinerary is $570 per person. Fares subject to change by airline. Meal plan bed and breakfast. Full board at Limalimo Lodge and Bale Mountain Lodge. Airport transfers and road transport around Addis Ababa by private minibus. Road transport from day 2 until day 12 by standard 4WD with English speaking driver/ guide, including fuel, driver allowances and accommodation. All alcoholic drinks and additional non-alcoholic drinks.